How Can I Work In Weddings If I’m Not Ready to Start My Own Business? Entrepreneurship isn’t for everyone, but that’s not a problem! While your heart may belong to the wedding industry, you may not be in a place to start your own business or perhaps you’re simply not interested in running your own show. The question is – where do you go to put your wedding planning skills to good use? The key to getting your foot in the door is to start with a company that will help you to grow as an individual and will also vouch for you as you continue down your career path. This is helpful for future entrepreneurs as well. Working with another business gives you an opportunity to get your name out there and network yourself as you navigate the local industry. While it may seem like common sense to apply to event planning firms that are expanding their team, don’t limit yourself to planners alone. Venues and caterers are often in search for those same skills and will get you some in-the-trenches experience from the other side. Don’t be surprised when people start to ask why you didn’t start your own company or say that “you could’ve had an awesome business” – they’re probably right. However, just because you could have done something doesn’t mean it’s the right step! Perhaps you want to be a part of a team or you still feel like you have a lot to learn from someone. If you had your own business, you wouldn’t necessarily have someone to bounce ideas off of and express their honest opinions! Before my partner-in-crime, Alex, came to work with me, she was facing a lot of the same things. She knew she wanted to work with someone while still exercising her killer wedding planning prowess, but things aren’t always easy when looking for someone to take you on. She shared a few of the possibilities to prepare for. Most likely, there are little to no promises on how much you’ll make or how many clients you’ll work with. You’ll need to know whether you’re an employee or an independent contractor. If you’re filing as a contractor, be prepared for a hefty tax bill at the end of the year. Understand how you’ll be paid. Are you making a percentage of your clients or will you be paid hourly? Understand your job requirements. Do you have responsibilities to the company as a whole (i.e. admin work)? While you may not be a business owner, you’ll have to hustle just as hard as the lead planner in order for the company to reach its full potential. You are now an equal part of a company’s successes and failures – take that to heart! When you do find the right spot, it’s important that it’s a comfortable environment and one that you’ll be happy being in for years to come. If you have a certain income goal, take a look at your hourly or percentage rate and figure out what you need to do to reach it – start hustling! While you may not have to pay the bills, write the business plan, or deal with the taxes, these are still important things to understand so don’t be afraid to ask questions and learn more. This will help you understand why the business owner makes certain decisions, allowing you to be more supportive and helpful along the way. It can certainly make the difference! Last but not least, don’t go into any company with doubts. You have to really feel like the business and your team members “click” with you and that your partnership was “meant to be.” You may even want to do a bit of research to get an idea of the company’s reputation and whether you want to align with it. While getting any job may seem like the priority, the most important part is truly that you find a place that allows your reputation to shine as well. Don’t stop until you find the right fit! 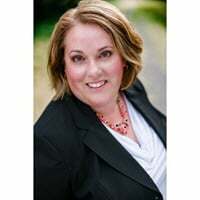 Jennifer Taylor is the owner of Taylor’d Events Group, a planning firm that specializes in celebrations of all kinds in the Pacific Northwest and Maui. She is also the creator of The Tailored Plan, a self-administered class for wedding planners to grow and improve upon their skills. Ask the Expert: How Do I Grow My Wedding Business to the Next Level?